I had a blast with the theme "Burn It Down". Lots of concepts and ideas. I decided to go into this jam myself and let the rest of my team take the weekend off. I landed on a concept where the player was trapped in a forest and the only way to get out was to use your fire blazzing powers to break out. Along the way, spells were added - Fireballs, Multiple Firewalls, and healing abilities. If that wasn't enough - programmed in a jump and super jump mechanic. To super jump, you have to hold down jump for a few seconds and you get a burst of distance. I had over 4 levels planned with a boss near the end. Didn't make it that far. The biggest mistake was getting the art assets in very late. I completely overestimated how long it would take to come up with a look for the trees, rig, animate, and output them into the game. Also, the character was going to be a brand new sprite instead of the one that is in there now - the one that is currently being used is a placeholder sprite we use in our games to test out animation. With all that done - we did come back with a lot of knowledge and a new system I will merge into the game we are working on now! In this game jam, I spend time figuring out our build process for Windows, Linux, and Apple and how that looks in the long run. Being able to test and build for those platforms was a huge experience and win for us. The system I got working in this game was the tile trigger system. Basically we can throw triggers around an object. When the player lands of one, we can perform a lot of cool stuff - like play an animation that has hurt boxes attached (sort of like a fighting game). 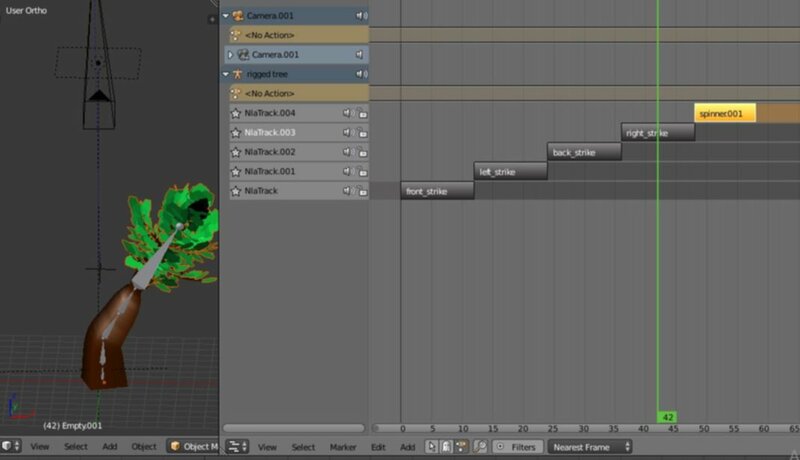 Even with awesome tools like the NLA editor in Blender to speed up animation - time was burning quick! Another Shenanijam come and gone just like that. Late night on Sunday - I didn't think I was going to finish. Took a moment to break away and think of what I could cut out to get something playable and out the door. Music and sound - cut. New fire mage sprite - cut. Boss that ran around the world taunting you - CUT CUT CUT CUT!!! I'm glad I was able to finish. It looked grim but I powered through all that doubt. It's twenty great teen, finish it!! Once I had the build working, uploaded the game, filmed the video, and wrote the descriptions - man it felt GREAT! I'm still glowing with creativity from the whole experience. Like I said before, the biggest mistake was the large scope for ONE person! Sure I know my craft but 72 hours isn't enough for one person. I missed my team on this one but a valuble lesson learned.